Saturday, Sunday: Closed. Please use Contact Us button below. 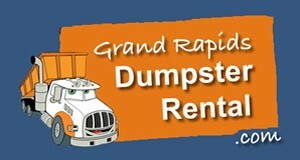 Request a quote from Grand Rapids Dumpster Rental. We offer professional and affordable dumpster rental to Grand Rapids, Kentwood, Wyoming, Walker and surrounding cities. Call us at (616) 827-7121 or use the form below to request a free quote. Thank you for your business!